Mum’s best dish… the ultimate comfort food which summons up warm and comforting memories from childhood and which noone else can ever, ever replicate. We had a wonderful response to our recent Mother’s Day competition in which we asked our fans on Facebook and Instagram to tell us what was their favourite dish that their Mum cooked. From old favourites like Spag Bol and Sunday Roast to fabulous dishes which reflect Australia’s multiculturalism – Spanakopita and Tabbouli were each mentioned more than once – it was a trip down memory lane for us to read through the heartfelt responses. In fact, some of them brought a tear to a few eyes at the Bakehouse, and some of them made us laugh so we thought we should share the love and post them here for all to read. Enjoy. Sylvana Sawaya Mum could never do wrong with cooking. Every dish she made somehow was absolutely amazing doesn’t matter how simple it was. Maybe it’s because she cooked with love. She’s been living overseas for a few years now but comes to visit sometimes. If I had to choose one dish it would be her awesome tabbouli! One of a thousand! Fiona McQuinn-Bird This is Claire, Fiona’s daughter. I love mums chicken schnitzel she puts dukka zaatar in with the flour for a middle eastern fusion accompanied but cheesy potatoes baked in the oven. (Potatoes chopped into little pieces, oven baked and in the last 20mins grated cheese sprinkle over.) Tis YUM. Gillian Mac Cox Can I mention my daughter, who is also a mum of two little boys. I love 10,000 miles away and am lucky enough to visit once a year! I love breakfasts outside on the deck with her two little ones, she makes the fluffiest pancakes, and serves lots of fresh fruit, blueberries, melon, strawberries and bowls of thick yogurt with nuts and honey – it’s my happiest memories of Australia, sitting in the sunshine as my grandsons start the day with the yummiest breakfast imaginable!!! Amanda Santamaria There is no mistaking Mum’s Italian heritage when you try her Pasta al forno (baked pasta). It just melts in your mouth and just the thought of it’s rich aroma makes me hungry! It’s also great warmed up the next day, although there are rarely any left overs! 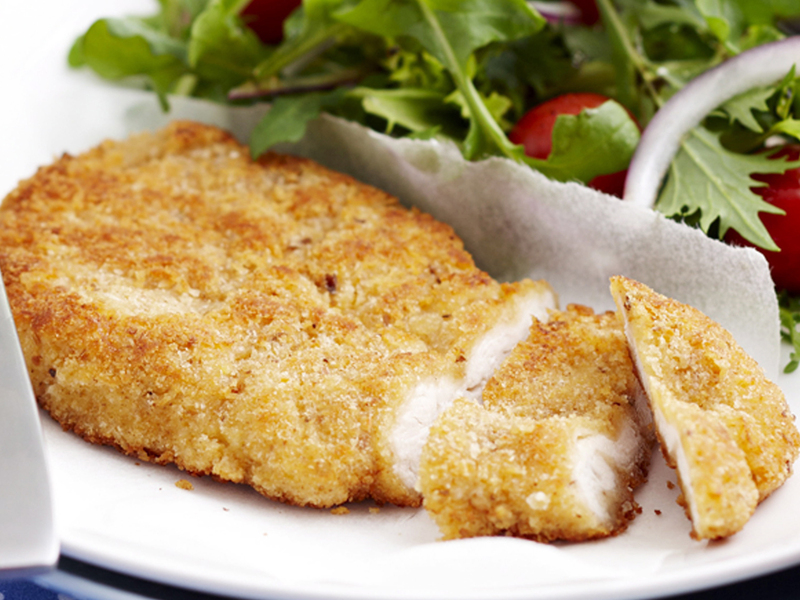 This dish is like Mum’s love on a plate! Ester-Sonia Las Gemelas Our mum’s favourite dish is seafood paella that she hasn’t eaten for a while as she’s battling illness. So we plan to surprise her with this delish dish on Mother’s Day to lift her spirits. Kim Wilkinson My mum was never the cook in our house – that’s why she needs this gorgeous hamper!!! Dad was always doing the cooking, but Mum could do an excellent roast dinner – not sure why, but it was the only thing she could put together other than toast. Ines Durasnita My mum’s ‘pollo en escabeche’, it’s the best thing ever! It’s a chicken served cold with carrots, onions and chilies cooked in vinegar. It’s super fresh and tasty. So every time I go back to Mexico I ask her to cook this dish for me because even if I can cook it myself it doesn’t taste like hers. Mmmm… a rich flavour of childhood memories and mum’s love. Heather Cox My mum’s an amazing cook! I think the best dish she does is our Christmas Feast! Turkey, stuffing, roast potatoes, cheesy mash, sprouts and bacon…The list goes on! It’s delicious and devoured in minutes… but the conversations last hours around the table! Tessa Stockey My mum makes the best gratin dauphinois – it is delicious and the only one I will eat. Being all the way back in Holland where I grew up, I miss her and my dads cooking sooo much. Carol Grixti Mum makes the best baked dinner! Belinda Warner My mum, Gina Wheeler makes the best bruschetta with ingredients picked freshly from her vegetable garden. Kate Sciberras My Mums Best Dish which was passed on from my Nanna is Pastitsio with meat and pasta. We have recently discovered Shepherd’s Crusy Italian sourdough which makes this meal complete, by savouring every last drop of sauce on your plate. Diane Zee My mum couldn’t cook but made nice oven baked roast chicken with potato’s garlic and lemon flavour. Sally Galwey My gorgeous mum made the best homemade pea & ham soup on the planet…served with warm sourdough & lashings of butter, oh how I miss it. We lost mum last year & this is the first mother’s day without her so I’d love this hamper for my wonderful sister as a mother’s day gift for her from my nephew & I.
Beth Comino Too many to choose from! Roberta Delaney…it’s always amazing. Morrocan lamb, Portuguese tarts, too many to mention. I’m getting hungry just thinking about it. Sue Moore It’s a great post and bakery. Mine is vegetarian lasagne made with roast capsicum & eggplant, homemade basil pesto in a delicious sauce so tasty. Louise Walsh Mum would make the most fabulous Stew & Dumplings. The Dumplings would melt in your mouth along with the beef stew… Coming home from work when I still lived at home on a freezing cold night & the aroma of another great stew & dumplings would make my day. I also managed to score an extra dumpling or 2 lol. And yes Mum taught me how to make them… Looking forward to making a few this winter – if it arrives !!! Pooja Dolai Everything mum (Hema Pandey) made has always been yummmmm. It’s extremely difficult to pick just one. She lives overseas and recently when she visited us she made the best butter chicken and naan. Antoinette Joyce My mum, Fely Salenga use to always cook us chicken bone broth, way back in the day before it was trendy. Even though I’m grown up now, whenever I get sick, it’s the only meal I crave and she’s always happy to make it for me. Belinda J Burns Loved calling into this bakery on a recent blue mountains trip, not sure if this prize is pick up only , but my mums best dish is her sautéed pork plum medallions. For dessert her classic Apple Pie is the bomb. Leanne Cutler Would have to (be) mums Apple pie with crisp pastry and spiced apple still slightly firm and tart in flavour… she’s passed now but handed on to me to bake for the family. Kirston Barton My mum used to make cinnamon rolls every Sunday afternoon. The best thing ever straight out of the oven! Julie Pena All of Mum’s dishes were great. 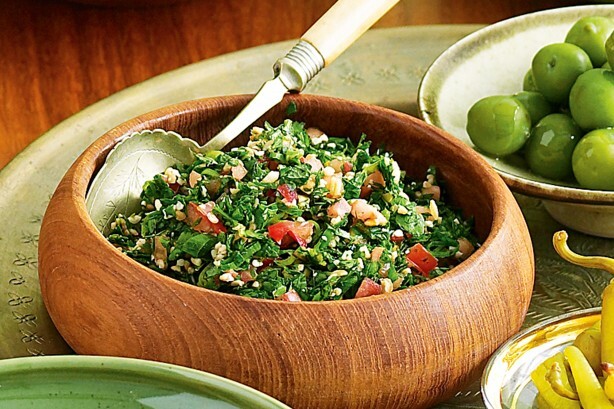 My favourite is her Tabouli. Mainly because of the fresh mint and sometimes parsley from the garden. Marmar Brandl My mum made seed cake which we loved. She used caraway seeds. I think it was an old Cornish recipe from her grandmother. Today I would use a good pound cake recipe and add caraway seeds. Very satisfying. 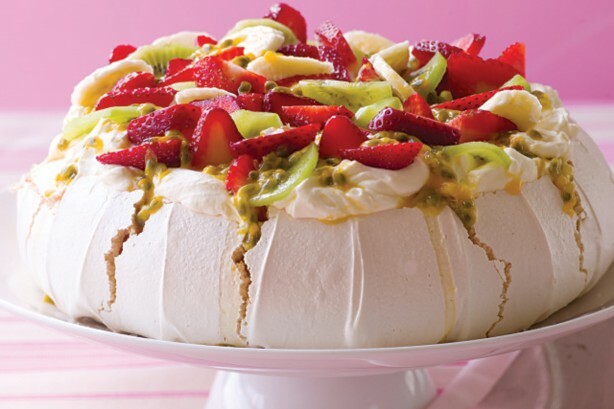 Amy Madden My Mum’s pavlova is famous among the family! It’s generally made for Christmas dessert (takes her most of the day) but begged for each and every birthday (and lucky, with 5 of us in the family we hope to get a steady supply year round). It’s honestly heaven on a plate and well worth every ………..single……..sugary calorie in it! Lyn Kaye Everything my mum cooks is cooked with love.. My parents live in another state and due to my work I do not get home very often. When I do get home every meal with them is special and treasured. Shannan Sullivan Spag Bol or a sunday roast. Yummy. Henny Wong I always love my mom’s cooking, especially her tamarind soup & marinated fried chicken. Uhh how much I miss them (and her) as I live thousand miles away from her. Cameron Ayoub I love every single meal my mother makes because she puts so much love and effort in her cooking that you can’t spot one small fault! Tabitha Hensel Mums plain old ‘throw it together’ warm your insides and your heart stew. Cheap beef and stacks of vegetables served with fresh crusty bread. Christine Mercieca My mum’s home made ravioli!! Pasta and sauce all made from scratch with fresh ingredients!! Merelyn Southan I couldn’t go further than my mother’s Sunday Roast cooked in dripping & real gravy made from the pan scrapings. Simple but the best. Tamie Wong My mum made the best broths, perfect for winter – warms my heart every time. Matthew Mey My mum’s chicken casserole is fantastic. Nothing better than a steaming slow cooked casserole at night. The enticing aroma can be smelt from a mile away. Yvonne Kyriakides-Sclavos Spanakopita!!! To die for. Bel Desisto My mum makes the best spaghetti bolognese. Me and my daughter make croquettes. Kylie Nargar A crispy spinach pie, filled with chunks of potato & cheese. Always a winner served hot or cold. Michelle Harvey Would have to be her spaghetti bolognese. It was always a treat! Kailee Cross So many to choose from! Ness Cross makes the best hot chips I have ever tasted in my life. There is so much love that goes into them, and they are perfectly crisp on the outside and soggy and melting in the mouth on the inside. We even go so far as to call them ‘special chips’, and everybody raves about them after they taste! My partner asks for them on a weekly basis.